As we all know I love to use pink and green when I decorate for Christmas. It is just me and I can't quit it, not that I am trying. This year I vowed to take that same pink and green and add in multiple plaids to the mix. I have purchased blankets, moved some pillows around and added in plaid ribbon to the decor and to the tree in the den. I love the plaid mix with the pink and two colors of green I chose and to be honest, it may be my favorite mix so far. I can't wait to show you the result ... and the peeks into our house start tomorrow with our dining room, so come back tomorrow and take the tour. 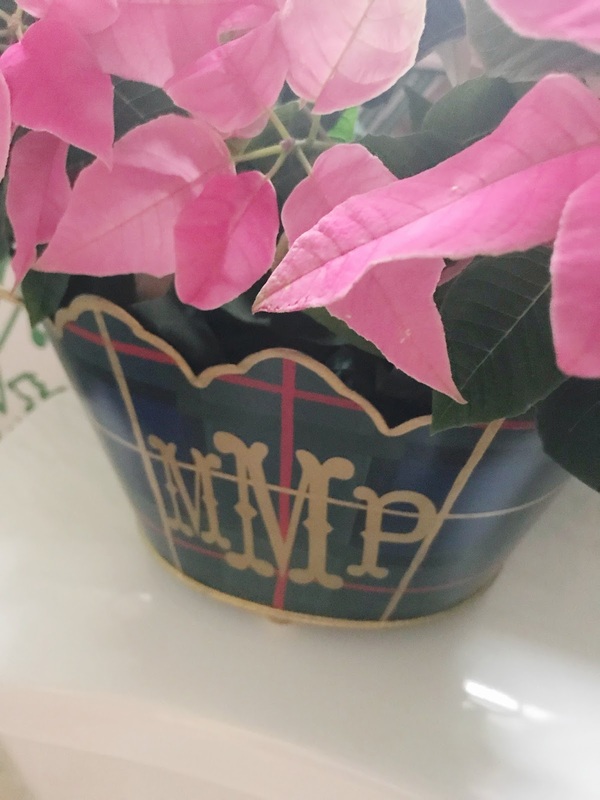 One of my favorite things I used this year are these darling plaid cachepots from my friends at The Monogram Merchant. The containers are so perfect for so many uses and as you can tell from the photos below I may have more than two. But when you find something you love you should definitely order a few of them especially when you find them on sale, oh and with a discount code which I will share below. 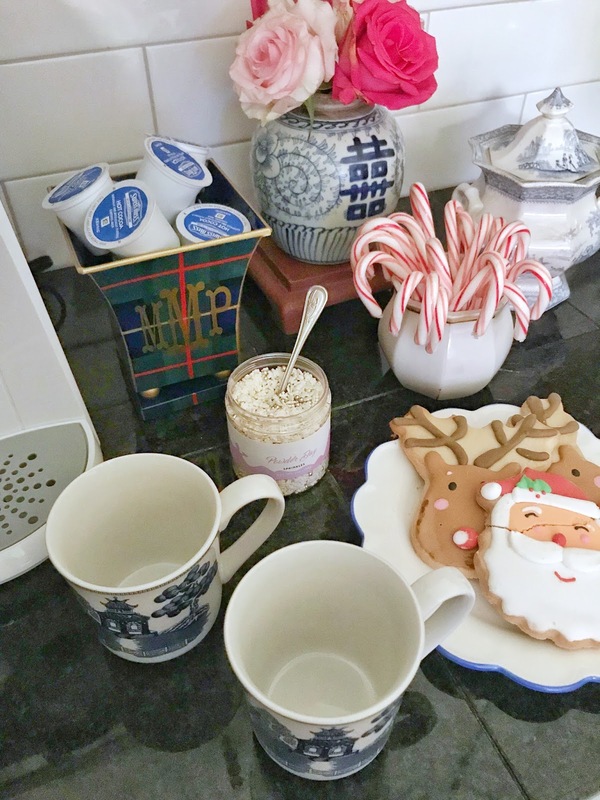 Cynthia, the darling owner, is so fun to work with and has been so helpful with monogram projects and other little things I find I either need or want. Most recently I will confess to the wants. Her shop is truly darling and includes so many items and brands I love. When I was in Winter Park in October I had the pleasure of brunching in the shop and walked out with a few goodies I have enjoyed immensely. I love adding things like these darling cachepots to the house, they can be used for so many things. I already had a container for the Christmas cards that are filling up in the mailbox, but that would have been my first go to. I quickly found some amazing spots for my collection, and each one makes me smile! 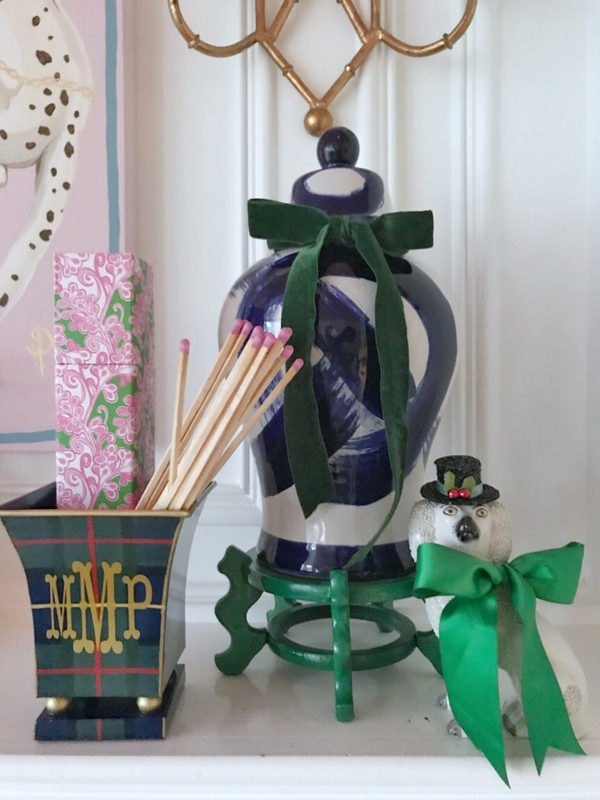 The mantle is filled with pups and blue and white porcelain and adding fireplace matches to this cachepot was the perfect addition. I kept the box they came in just to have the match strike handy. Well, that and its cute! I also love the idea of adding in fresh greenery which would have been a fabulous addition as well. We have fresh garland going up tomorrow so I held off on adding anything fresh in this location. I have already used two matches this morning as it is freezing here! 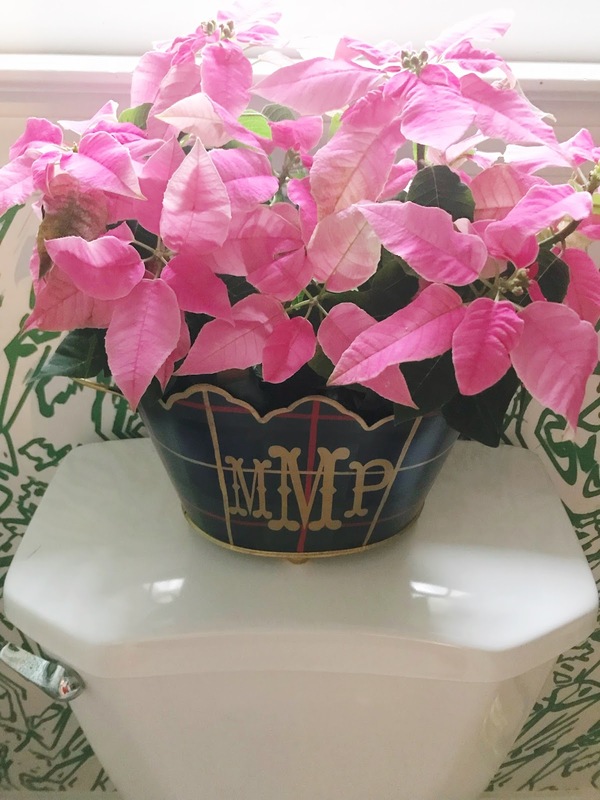 When I found these darling pink poinsettias I knew I wanted them for the powder room. They are the perfect shade of pink and a great option to welcome guests that I know will be coming over. I love that this pot is the perfect size for the back of the potty. The light from the window shines on them and makes me so happy when I walk by. This cachepot would also be a great container for a few extra rolls of paper which I know will be needed this time of the year. For now, pink poinsettias it is! 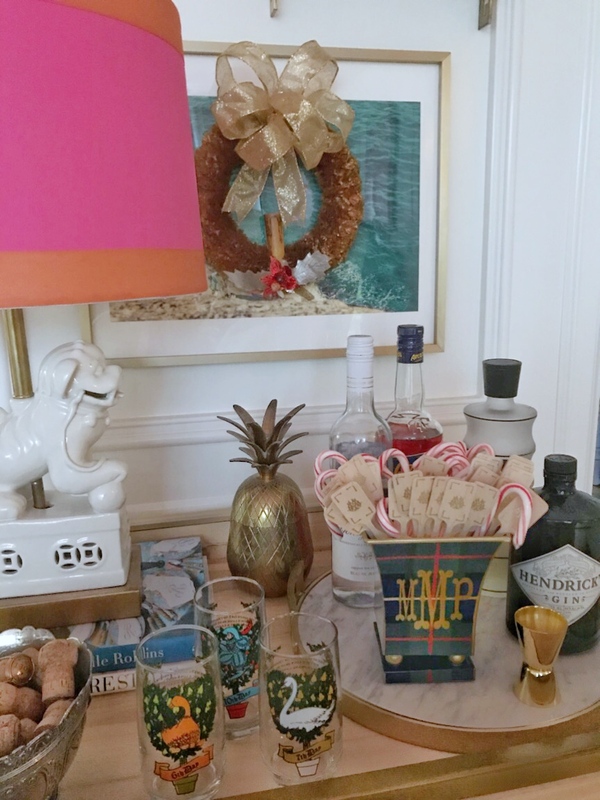 I added the same size to the bar in the den and filled it with candy canes and my favorite swizzle sticks. 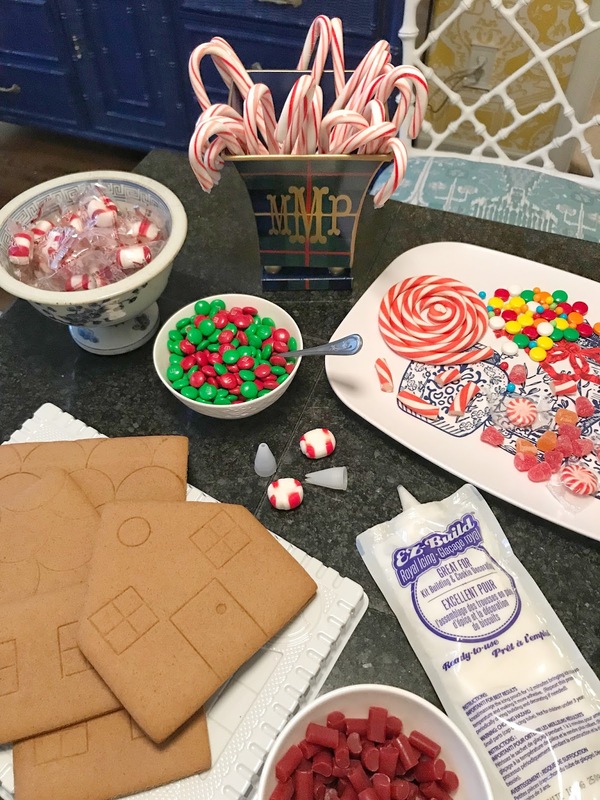 I love adding candy canes to cocktails, they are so fun and add something just a little extra. The cachepot fits perfectly and adds more plaid to the den which is nothing short of a win for me. I set up this station for the kids when they get home, which with the weather will be early. #yay. I just pulled the container from the bar and remove the swizzle sticks and it was ready for gingerbread decorating. Can you tell I love these containers? They are so useful and so cute! Cynthia is offering my readers a discount code for the shop. Just use the code PAIGE for free shipping for purchases over $50. Since the cachepots are in the sale section they are currently 10% off which means you get to combine those discounts. Make sure you check out all sizes and both colors of the cachepots and this section for any gifts you may need. 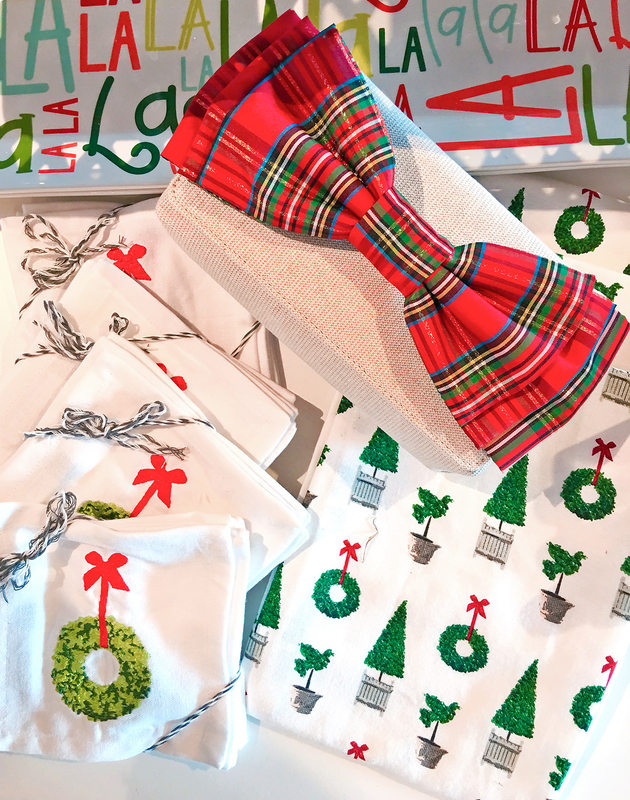 Since you are getting free shipping I suggest you load your cart with anything monogrammed you wish to gift! 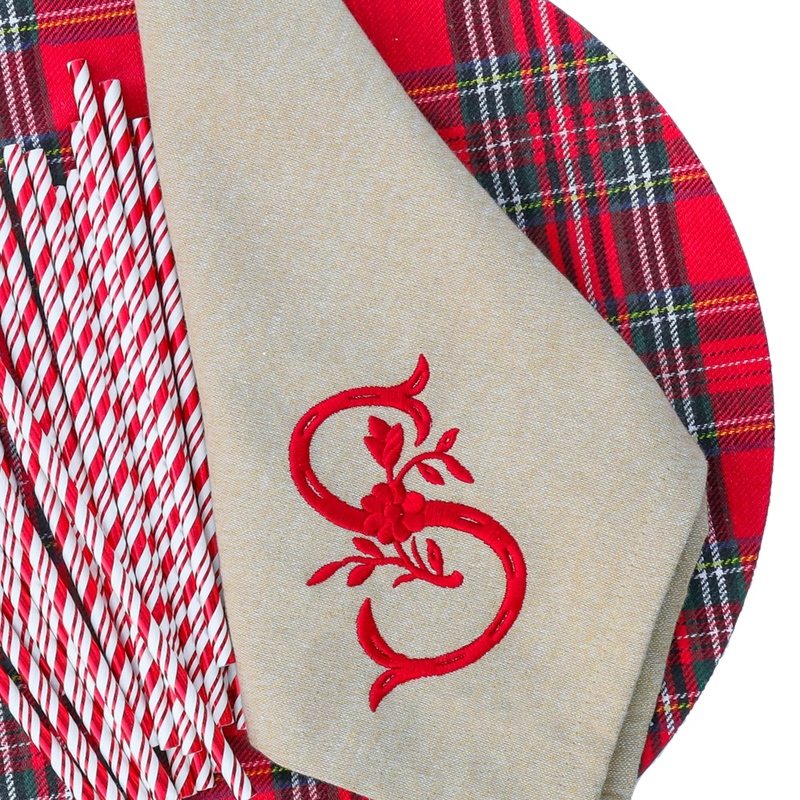 I love these cocktail napkins which are darling for hostess gifts (oh and for you as well) and these towels make my plaid loving heart happy! !